Did you catch Sunday's premiere of Mad Men? It's tough to imagine what will happen to the partners at Sterling Cooper Draper Pryce during season six. So instead, I've been imagining where the firm might have set up shop had they been in Chicago. I'm thinking they'd be in The Inland Steel building. 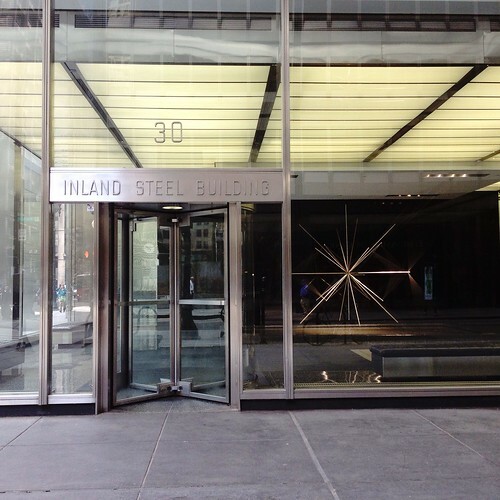 Today, I is for Inland Steel. Completed in 1958 and designed by the firm of Skidmore, Owings and Merrill, the Inland Steel Building is an architectural giant disguised as a modest, sophisticated office building. The recipient of several awards for excellence, it is both innovative and elegant. It was the first building in Chicago to be fully air-conditioned and the first to offer underground parking to its tenants. The building’s fourteen stainless steel clad exterior columns create a fully column free interior. Each level boasts 177 x 58 feet of unobstructed, open, usable space. It was unmatched at the time of the building’s completion. This “clear span” construction has become commonplace today, but then it was truly innovative and partly responsible for making Inland Steel the highly respected building it remains to this day. Its sleek façade is composed of stainless steel cladding (a nod to the building’s original owner) and two-inch thick tinted glass. The glass is solar reducing and an early attempt at climate control. It is a precursor to the sustainable architecture happening today. 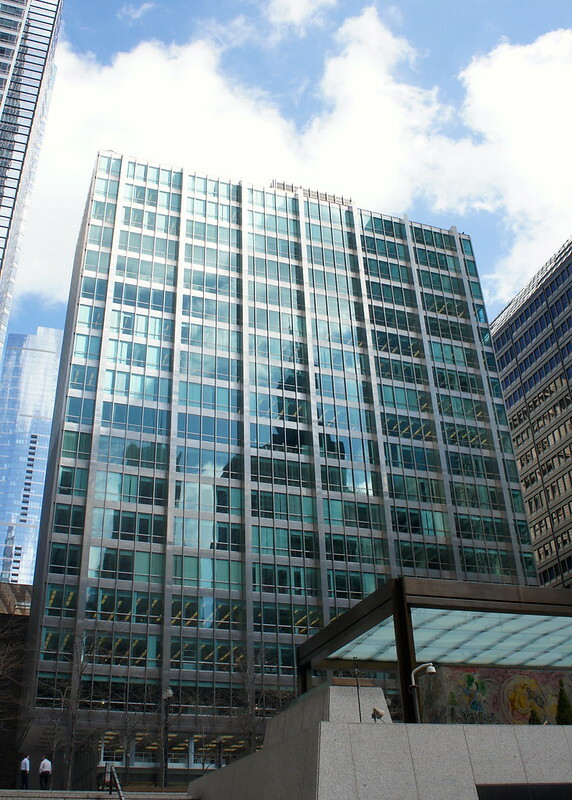 The Inland Steel building is a giant in Chicago’s architectural history. This is evidenced by the respect it is paid by it neighbors. You know a building is significant when its surrounding neighbors bow down to it. 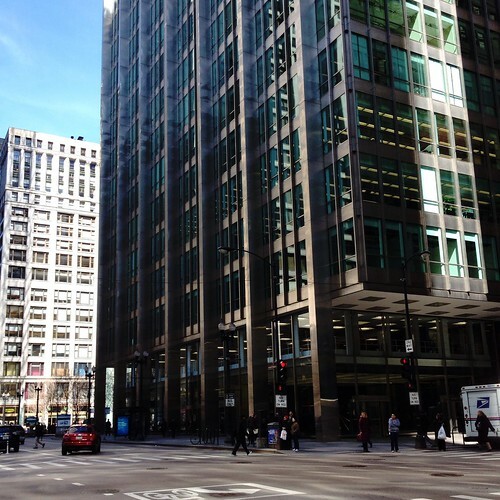 Each of the surrounding buildings, all of which were built years later, pay homage to Inland Steel. They do so by stepping back on their plazas or "bowing" to it with structural detail.